We knew Mazda had something big planned for the Geneva Motor Show this year, but we didn’t know it was planning a new compact SUV called the Mazda CX-30. Unveiled among multiple million-dollar supercars, the new CX-30 may just be the most significant vehicle for Canadian consumers seen in Geneva. As is usually the case when a new vehicle is unveiled as a World Premiere at a major auto show, details about the Mazda CX-30 are scarce. We do know that it will be going on sale this summer in Europe with North American sales likely following at the end of this year or early 2020. Thinking of the new Mazda CX-30 like a new Mazda3 Sport with higher ground clearance and a more rugged look thanks in part to its side body cladding wouldn’t be a stretch. Our hunch is that it will feel and drive like a Mazda3 Sport, but offer a higher driving position, better visibility, and improved off-road competence. Mazda says that the CX-30 will come with a range of SKYACTIV engines including SKYACTIV-X, a new engine that uses both spark and compression ignition technologies to provide the most efficient combustion possible. The net result is 30 percent more torque with 20 to 30 percent better fuel economy. The Mazda CX-30 will slot between the Mazda CX-3 and Mazda CX-5 in the Mazda lineup. 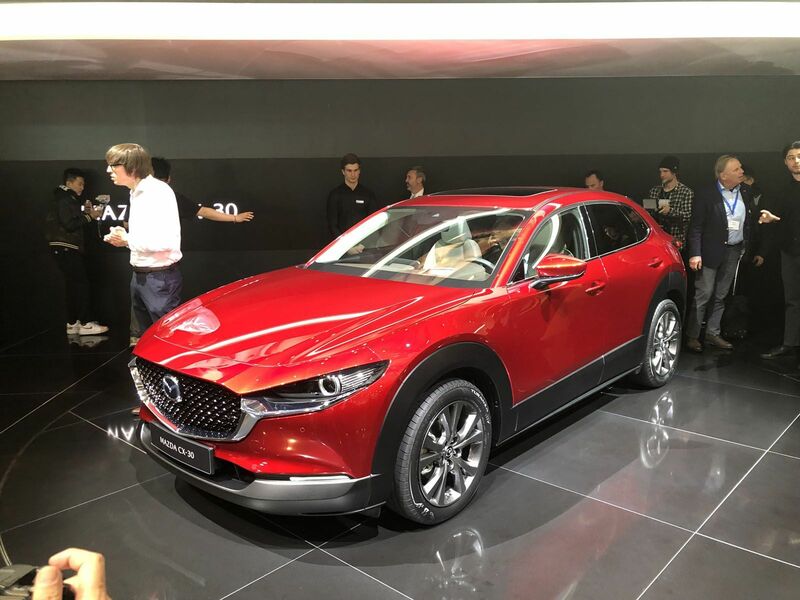 And in case you were wondering why it wasn’t called the CX-4, Mazda simply says that they wanted to go with a new name because this was a brand-new model with a brand-new personality, not a redesigned CX-4 which already exists in other markets.